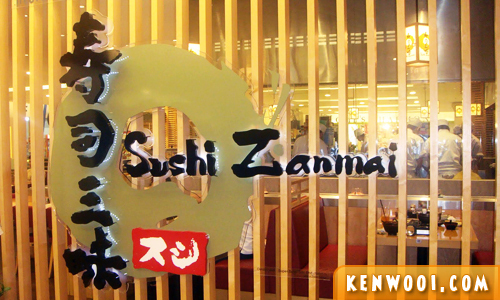 Whenever I have the opportunity to select what I wanna eat, “Sushi Zanmai” comes to mind without a thought. Well, it’s surely one of my favourite places to dine at. I can’t remember how and when did this “craze” towards Sushi Zanmai came about. It must be a Japanese mystery. 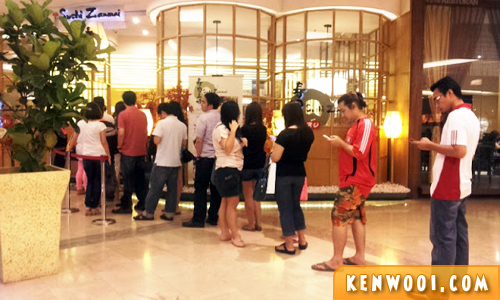 To be frank, I don’t like queueing, but I don’t mind doing so for a table at Sushi Zanmai. It’s always worth the wait. Ahhhh… irresistible! The combination of all the ingredients used to prepare it is just fantastic! So heavenly and orgasmic. It’s always on my MUST-ORDER list every time I dine at Sushi Zanmai. 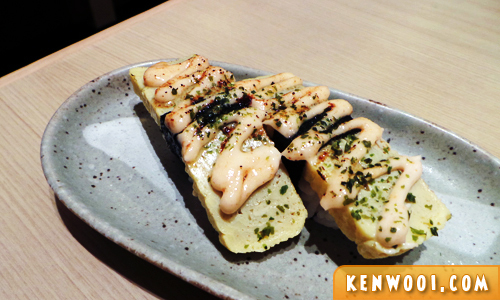 I tell you… NO journey to Sushi Zanmai is complete without savouring the Mentaiko Spider Roll. I kid you not. First, I take a piece. Then, I put the whole piece into my mouth. After that, I start to chew and within seconds, the orgasmic sensation KICKS in! Hee-yahh! Oh, it’s coming! Oohhh… Ahh… Yummms! Oh my! 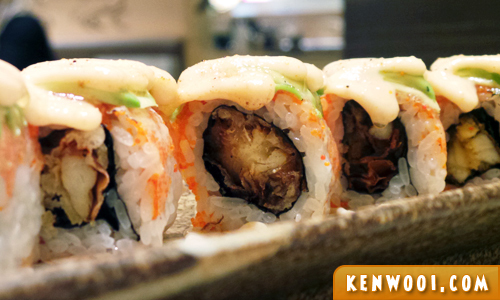 This Mentaiko Spider Roll is damn! My taste buds feel like paradise as the sensation sends shock waves throughout my senses! Seriously, that’s how I feel. It’s like the most wonderful feeling, ever! 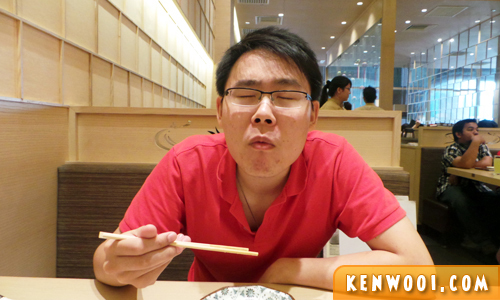 Being able to eat such tasty food is always a fantasy come true! But you know what else I feel after eating it? I feel like… I’m… Spiderman! After all, it’s called Mentaiko Spider Roll what. Heh. Okay, not funny. Anyhow, I love Sushi Zanmai. Kthxbai! What I think is nor worth for the Q sometimes.. 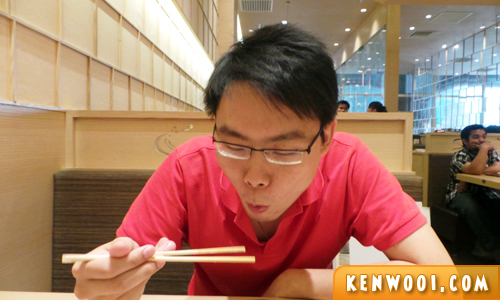 I love Sushi Zanmai too and plus I love mentai too but its with Inari sushi. 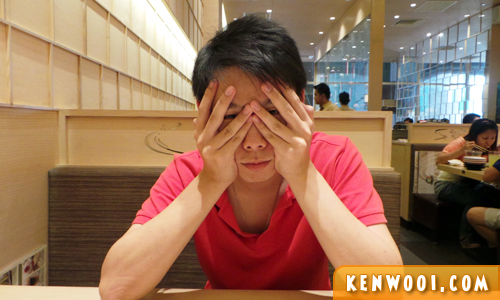 Why KK doesn’t has Sushi Zanmai? Why? Heard a lot from others about this place but yet to try… will put this on my list during my next trip to KL! 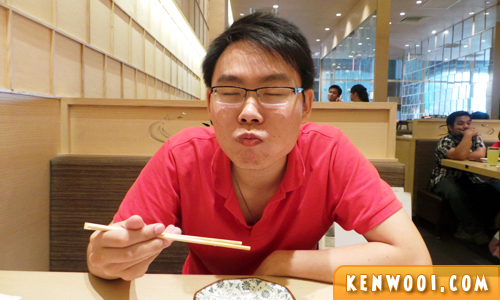 i makan there once, quite likey the food! Thank you for dining at Sushi Zanmai. 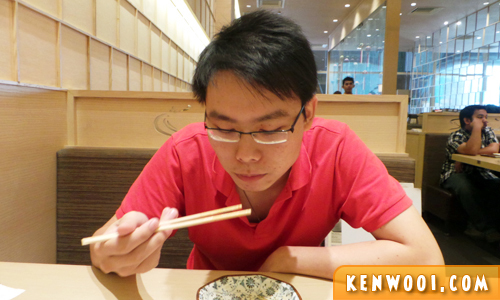 ^^ We loved your blog post and decided to share it on our Facebook page. Hope to serve you again soon. Agree!!!!! Loves sushi zanmai!! 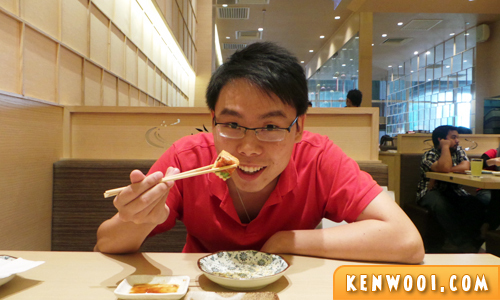 I think it’s considered cheaper somehow compared to sushi king as the portion is larger compared to it. Affordable price too!